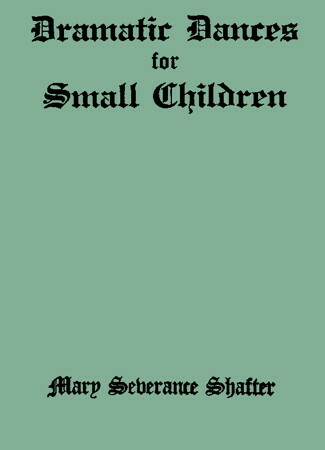 Information: Mary Severance Shafter, author of books about folk dance. American Indian and other folk dances for schools, pageants and playgrounds, collected by Mary Severance Shafter. Music arranged by Josephine Condon. New York: Barnes, 1927, 77p (OCLC 1488072). Includes South Dakota and North and Central California tribes, Scots, German, Spanish, and Mexican dances. Dramatic Dances for Small Children. Mary Severance Shafter. New York: Barnes, 1921.